Part Four in the brilliant new series from the bestselling author of The Star and Sixpence series. After several months in Cornwall helping her grandfather run the family business, Ginahas almost forgotten what London life is like, and her boyfriend Max has most definitely noticed.... With all her energy going into the newly renovated Palace picture house and the ever-successful Ferrelli's ice-cream business, he's not getting much attention. To make matters worse, Gina is spending more and more time with her friend and co-renovator, Ben, and old feelings are starting to resurface. But as Gina's time in Cornwall draws to a close and she starts thinking about returning to life in London with Max, the cinema's very future comes under threat from a developer with greed in his eyes. Will Gina stay in Polwhipple? And can she help owner Gorran save the Palace before it is too late...? 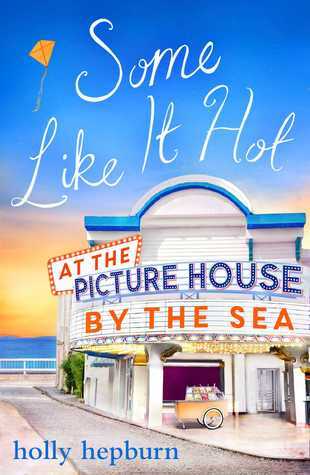 Review: Well the final part in the Picture House by The Sea series did not disappoint! This was obviously where all the story lines came to a head and things were resolved or not as the case may be. Because of that the plot is very much things coming together and so you can expect drama drama drama! I loved that it was structured like this because it made it super quick to read and I flew through this. There are romantic moments, there are heart warming moments and there are some tough moments too, very much reflecting Gina's life entirely and totally relatable! Obviously Gina completely shines in this series. I love her as a character because she always wants to do the right thing and I find that admirable about her. She is down to earth and she is a strong woman who gets stuff done on her own merit-what more could we want for in a heroine? Ben obviously plays a big part in this final instalment too. I just love how laid back he is, he really is a tonic to the whole storyline, and yet that doesn't mean he doesn't have passion. He is so passionate about everything that he is into and I love that about him! Gina's family really come into play in this novel and It was great to see them altogether in one place. We also have the villains of the story, Rose and her mother. Rose doesn't play as big a role in this episode as she has in previous, but her nastiness still adds some fuel to the drama, as you might imagine. Of course there is a little bit of ice cream and a lot of movie magic in this book, as there has been in all the others. There are references to quite a few different movies throughout this book, and not just Some Like it Hot. That is one of the things I have loved about this series, it has definitely inspired me to go and watch the movies of the names of the episodes! Thankfully there wasn't quite as much Italian coffee and cooking in this one and so I didn't have to arm myself with an espresso and a bowl of pasta to read it but it was still just as much fun as the other books in this series. I cannot wait to see this book released as a whole as I think it will work really well following on from one another and I can't wait for everyone to start falling in love with Gina, Ben and the Picture House by the Sea just as deeply as I did.